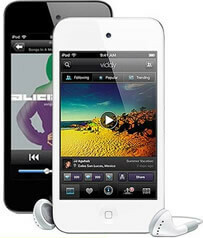 Nowadays, iPod is a prevailing gadget among young people. An iPod is much more than a music player - you can use it to take photos and videos and store them and a number of other files, depending on your device's capacity. The popularity of iPod accompanies with a group of varying issues. In today's topic, we would like to discuss two different kinds of "Restore iPod". What you can do if you accidently deleted your favorite songs, baby's photos, or wedding videos, you need to restore iPod data. Strictly speaking, you will never lose your iPod data if you have a regular backup plan. iTunes is capable of creating a backup file when you sync your iPod with iTunes. However, this file is not able to read or access if you don't utilize a third-party utility. iPod Restore and iPod Restore for Mac are the best programs that can extract iPod backup on your computer and restore iPod Data if you lost them. With fancy interface and user experience, they are highly recommended by hundreds of thousands of users around the world. What if you have no backup file? That's may happen when you accidentally deleted this file, or your iPod is newly bought and you have scarce time to sync your iPod with iTunes. No matter what reasons you don't have backup, you can find a smart program -- iPod Data Recovery that can restore iPod without backup. It supports all versions of iPod, like iPod Touch 5/4, iPod Nano, iPod Shuffle, iPod Classic. ​Part I: How to Restore iPod Files by Extracting Backup File? ​Part II: How to Restore Files from iPod Directly without Backup? Part I: How to Restore iPod Music, Photos, Videos with Backup File? Launch this iPod Restore program, the backup file will be automatically detected and displayed. Select it and hit "Start Scan". After scanning finished, all the data on this iPod will be shown by category: Photos, Notes, and other more. Select the ones you need to recover, and click "Recover". Specify a path to save the recovered file on your computer. Click "Save"to confirm. Part II: How to Restore iPod Files without iPod Backup? If you don't have iPod backup file on your computer, you need to turn to another software to restore iPod Touch. Firstly, connect your iPod to your computer. Click "Start Scan" to scan lost files from iPod. It will take you several seconds to finish scanning. Then all the files on iPod are shown by category. Select the files you need to restore after previewing. 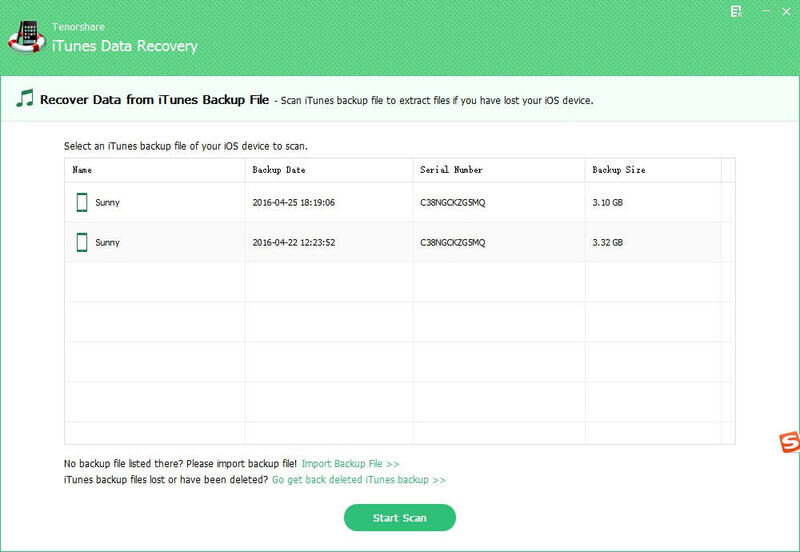 Click "Recover" to start to restore iPod and specify a location on your computer to save the restored iPod files. Sometimes you iPod get a messed up even though a simple restart won't works, or it goes wrong and becomes unstable when adding music, apps, or updates to your iPod. You don't want to call Apple to wait for 2 weeks. Restoring it to the original factory settings is the only solution. However, restore is the last of the Apple recommended troubleshooting steps. The iPod restore process returns the device to its original factory condition and removes all the data from the device, including songs, contacts, photos, videos and apps. Step 1: Connect iPod to your computer. Step 2: Select iPod when it appears in iTunes under Devices. Step 3: Midway down that screen there's a button that reads "Restore." Hit it. Step 4: Follow the Wizard. Step 5: Choose "Restore and Update".